Litecoin, the fourth-largest cryptocurrency by market capitalization is currently trading at $61, representing a 100 percent gain on January’s opening price of $30. It clocked a six-month high of $64.20 earlier this month, according to Bitfinex data. From the peak in December 2017, Litecoin prices were going downward 48.5, 30, 24.6 and 49 percent in each quarter, respectively. The four-quarter losing streak was the second largest on record and saw prices fall by 86 percent. However, in mid-December only (2018), the price was at its yearly lowest at $23 and since then it has been moving upwards just like the hash rate. 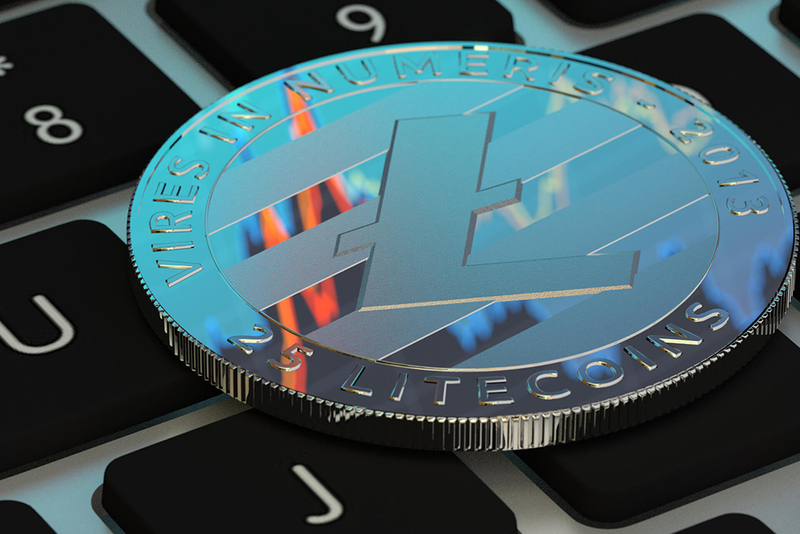 In 2019 till now, Litecoin has surged nearly 170 percent. Given the pace at which the price of 5th largest cryptocurrency has surged, that is just about 3x, it seems to have more drive to go upwards. Moving forward, we could see Litecoin breaking above $80 where it has resistance perched on the 100-day moving average. This upward moving trajectory can be further fueled by the upcoming Litecoin halving in August that could mean potential gains for the altcoin. We can see Litecoin kicking off the rally officially that Bitcoin and other cryptos can follow. At its peak, LTC had skyrocketed to around $360 from which it is currently down 83 percent. Though another peak might not come this year, in the light of halving, the bulls can start driving the prices up and set the stage for the next ATH. As noted by Gregory Rocco, the head strategist at crypto-economy firm Alpine, Litecoin’s hash rate is also on the rise since December. The cryptocurrency’s power consumption rate was shy of 150 trillion hash per second (TH/s) in December. But as of now, it has jumped close to 263 TH/s at the time of writing, indicating that more miners have joined the network ever since the price started recovering. For starters, a higher hash rate indicates a more secure cryptocurrency network. It means that any malicious actor planning to attack the blockchain would need to spend ample amounts of money to match the hash rate. Therefore, the attack would become impractical. Fundamentally, it makes LTC a secure blockchain, which allows its token LTC to claim a bullish scenario. The post by the firm also highlighted that the chain had amassed Satoshis worth $4.2 million and the torch had been handed over to the CEO of Abra – Bill Barhydt. Lightning Network is the second-layer scaling protocol of Bitcoin, and it gained enough traction after the experiment of the Lightning Torch. The chain now sits at 4200k satoshis and has been to over 50 countries according to data provided by ‘take the torch’. Lee received the torch from community member mark yesterday much the to rejoice of many. Lee even jokingly offering the torch up for an atomic swap to the Litecoin Network if anyone was willing. The so-called “digital silver has now been added as one of the collateral options for instant credit lines of Nexo, a digital currency loan provider. “Allowing LTC Holders to borrow against their assets rather than sell them when they need access to instant cash adds an incredibly powerful utility feature to LTC. It eases selling pressure and makes the HODLing LTC even easier for the long run. On top of that, Nexo’s instant credit lines are a powerful tool for creating tax-efficiency,” their blog post stated.